Remarkable service is one of the key ways to differentiate yourself from the competition regardless of which branch of the real estate business you excel in. 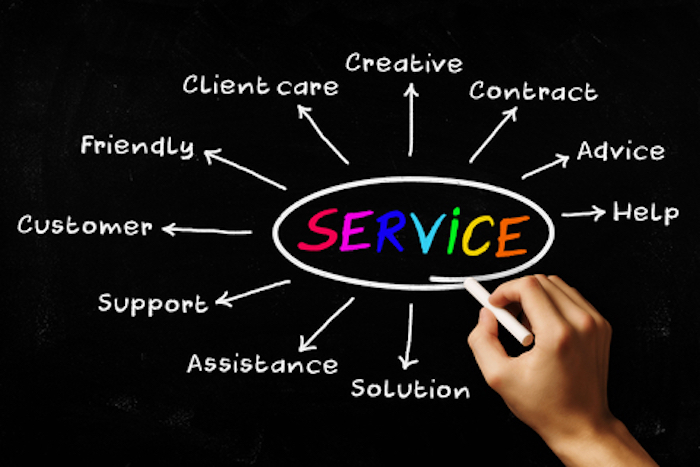 People who appreciate this type of service are also people who enjoy referring others like themselves to the same business person. A recent study in the luxury industry rated service as the most important reason to refer someone. And those mentioned had remarkable financial results. And these businesses continuously look for ways to be even more remarkable. Your most highly valued asset in your luxury or any real estate marketing practice is your database of contacts, particularly those who would go out of their way to refer business to you because you have earned their trust and respect. It stands to reason that understanding and consistently implementing the best practices for building a high volume of high-trust relationships will not only yield a high volume of referrals, it will also open up the opportunity to sell your practice in the future at a premium. Have you ever wondered what it takes to inspire people to spontaneously go out of their way to refer business to you? What sparks the urge to originate word-of-mouth advertising on your behalf? The answer is creating extraordinary value far beyond the fundamentals that are expected of you. Your service must be REMARKABLE to trigger word-of-mouth advertising. A remarkable brand must communicate and keep its promises, consistently. Only then can you achieve brand loyalty. For instance, there is a luxury real estate firm overseas, that promises that you can speak to one of its friendly representatives 24/7, and bespoke service. You don’t have to deal with voice mail. We checked to make sure that they do. To continue to succeed this firm has keep this promise. Their team must be well versed in representing their brand message. Every time the phone is answered by a live representative there is an opportunity to demonstrate and communicate the essence of their brand. Personally, we find ourselves drawn to brands that have great service. And we are always delighted to recommend them. Our car brand is now offering 24/7 emergency repair, which means that if the car fizzles out on a weekend, you don’t have to wait till Monday to get it repaired. They have found another way to give remarkable service, and to exceed our expectations.